Charm your guests with bohemian styled favors perfect for that laid back boho theme including feather designed details and white linen favor bags. A bohemian-themed wedding comes with all the vibes associated with boho lifestyle. You get a party hall filled with life, culture and the laid-back feel that comes with it. The boho style is well-known from breaking from the conventional and instead embracing the unusual, which tends to come complete with natural materials and elements that provide a whimsical yet down-to-earth touch. You can capture that free and easy feel with DIY wedding favors, and that's exactly where our lineup fits in. Linen is an easy, breezy fabric ideal for the bohemian vibe. 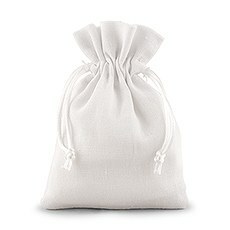 It's also ideal for mini white drawstring favor bags you can pack with take-home treats or small trinkets. Since the white linen wedding favor bags come with no embellishments, you can hand-stamp a boho design, add a personalized tag or pick a pretty ribbon that matches the mood of your day. Feathers are fabulous way to add a free and fanciful touch to your boho wedding, and Weddingstar has a couple of options from which you can choose. 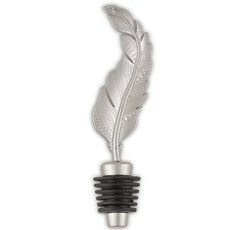 Give your guests a dose of glamorous boho with a silver boho feather wine stopper favor. 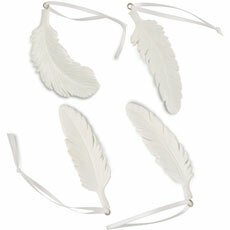 You can also choose to infuse feathers all around with white resin feather decorations. The feather ornaments fly you into a world of creative possibilities. Use them in aerial displays, on your favor table or as place holders that can double as a take-home memento of your boho wedding. Since bohemian is often synonymous with nonconformity, feel free to dream up new and unusual ways to make these versatile feather ornaments work for you. Creating your own unique, laid-back charm is incredibly easy with the selection of bohemian wedding favors from Weddingstar. 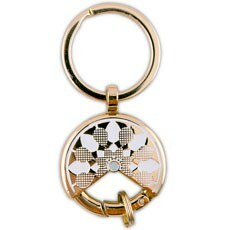 Check out the full selection to pick out your favorites today.